Welcome to the future of shopping. Startup Iconeme Ltd. premiered their latest technology this week: smart dummies capable of sharing clothing info with shoppers as they browse or pass store windows. The Daily Mail reports that the enhanced mannequins are outfitted with new VMBeacon technology that allows them to ‘speak’ to consumers about their clothing through the customer’s mobile device. If that sounds creepy to you, it does to us, too. A recent Google report revealed that 84 percent of smartphone shoppers use their devices to help them browse while in a store. The technology we have developed aims to tap into this trend and offers real value to both retailers and consumers. 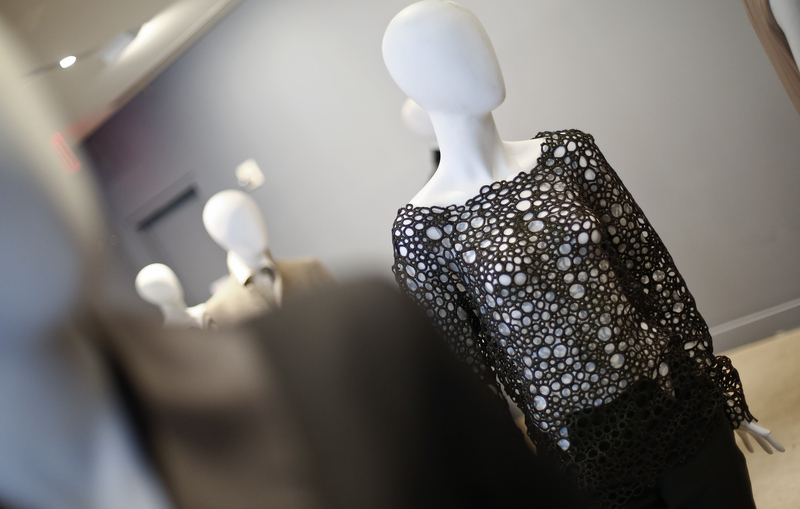 Smart dummies are not expected to sweep the nation anytime soon — these mannequins are 30 to 35 percent more expensive than those without the technology — but Berlin and partner Adrian Coe say top brands are very interested. Being that Berlin's other company, Universal Display, works as a supplier for top retailers like Topshop parent company Arcadia Group, they may not be bluffing. For some of you, this may sound like a fun supplement to humdrum window shopping. But for me, this is a sign of scary things to come. I have a not so subtle fear of mannequins — and, yes, the irony of someone working in fashion being afraid of mannequins is not lost on me. I actually get the willies around anything artificial made to resemble living breathing things (it's called automatonophobia). So, hearing that retail technology is moving toward more interaction with window models kinda freaks me out. What’s next? Dummies that that usher you through the store, that know your name from past purchases, or that wink at you at the fitting room mirror? I'll pass.